Thursday evening marked the next stage of the festive period – the staff Christmas party! Trout kindly invited me to his company’s Christmas party, and it was such a fun evening. 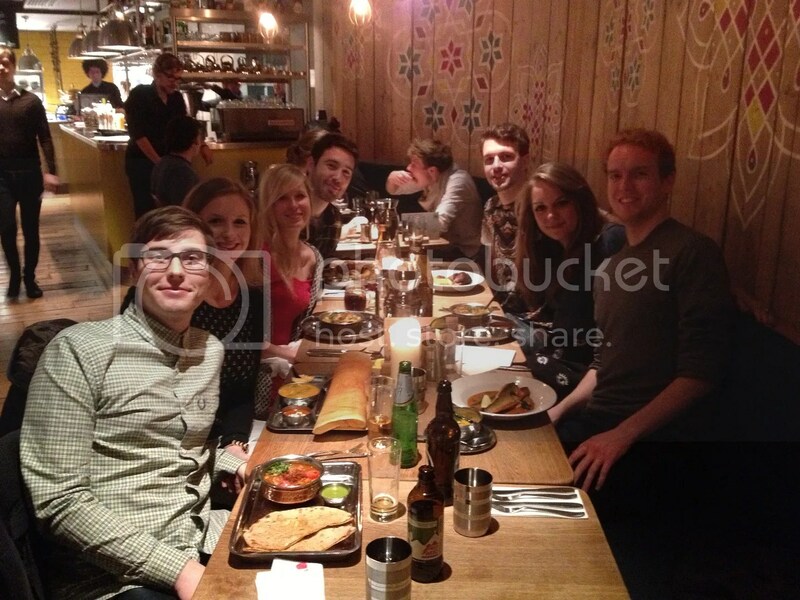 After ridiculous party games in their office, with a few glasses of champagne and mince pies, we popped down to Chilli Pickle for dinner. It’s such a great restaurant, and the food is really good. Bonus points for a menu with vegan labels! I can never not order a dosa when it’s on the menu – it’s pretty much my favourite meal in the WORLD. I love them so much. I couldn’t even fit the whole dosa into the picture! After dinner we popped next door to a cocktail bar for a drink – they made me an amazing non-alcoholic mojito, YUM. 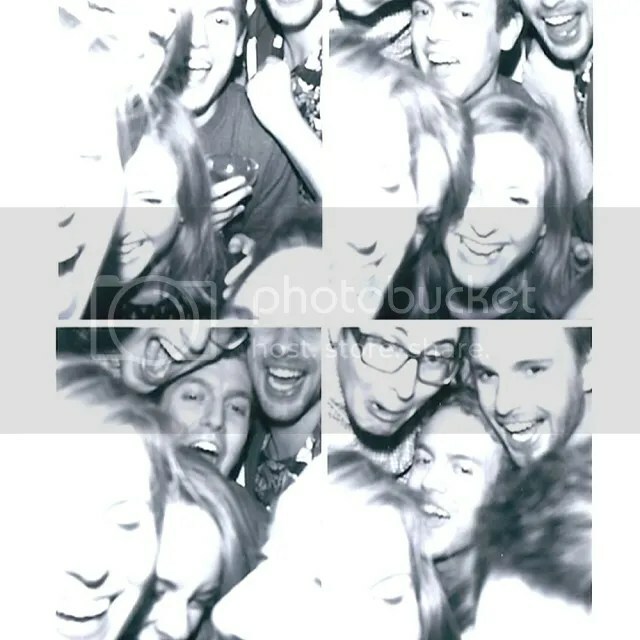 We spotted a photobooth in the corner so of course we had to all cram in. It was absolutely hilarious! We all forgot that you get four pictures taken, and after each photo we thought that was it and started relaxing, only to have to cram back in for the next one. Over and over again! So funny. Tonight is Christmas Party #2, with old friends from Kingston, at one of my favourite restaurants – the Riverside Vegeteria. I’m so excited to see everyone, in a really special restaurant. It was where we had our ‘final meal’ before Laia and I left Kingston, and a place where I would often go to celebrate something, like our second year degree show, or a weekend when Trout was visiting. The food is so good! Tomorrow is Christmas Party #3 (kind of) as we have two of our favourite people coming round for dinner, and Trout and I are cooking a special Christmas dinner for us all. I can already see us napping on the sofa after that! I’m off into town now to pick up a couple of presents and then I should be all finished. The rest are all wrapped, it’s such a relief to think it’s all out of the way. Hopefully, anyway! Rasputin’s gift is wrapped up under the tree ready for him – I’ve told him not to peek. The house is stuffed with presents, which I kind of love. It’s so nice to see all the presents grouped together, with bags of presents for family and friends. How is your Christmas shopping going? Do you have a Christmas party to look forward to? That sounds like fun. All of our friends went home for break so it looks like no Christmas parties for us. I actually just finished my Christmas shopping yesterday. Except for my brother-in-law. All of my in-laws are incredibly hard to shop for. They just buy what they want when they want it, so it’s hard to find something for them. My family always insist that everyone writes a Christmas list a month before the big day, which is always helpful! That looks like a fun night! I kind of had Christmas party no 1 yesterday, then I’ve got a night out with the girls from my office on Wednesday, James and I are going to a special gig on Friday, then we are out for a meal with my parents and sis on Saturday. Love this time of year so much! 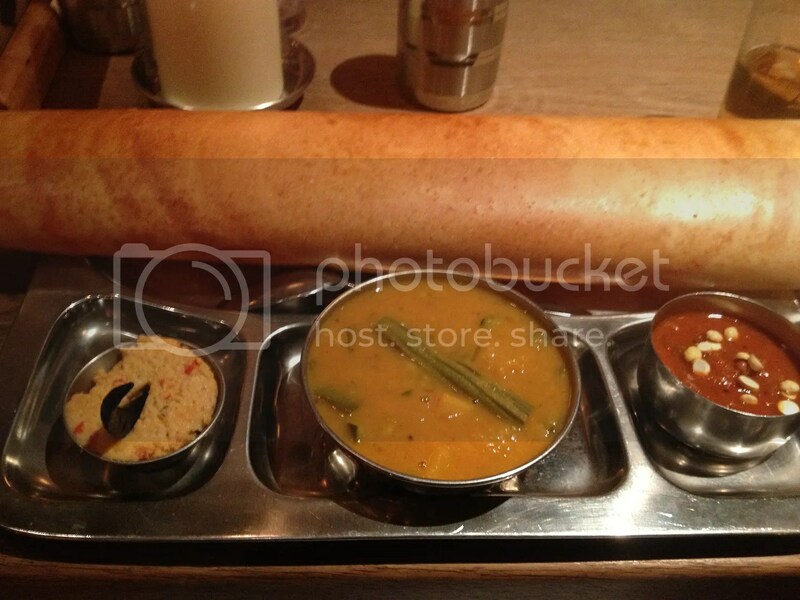 “I couldn’t even fit the whole dosa in the picture” – made me giggle, just a little bit! So funny! Looks like you had a fab time! Sorry Ive been absent of late – hopefully we can get together in the new year!